Two Calgary newlyweds will be separated by his and hers prison sentences after pleading guilty to a massive counterfeit operation and trafficking fentanyl. Behrooz Rafizada and Jocelynn Saliba were caught with more than $500,000 in Canadian and American counterfeit cash after police executed search warrants on a vehicle and their northwest home in October 2017. The couple was also trafficking fentanyl. 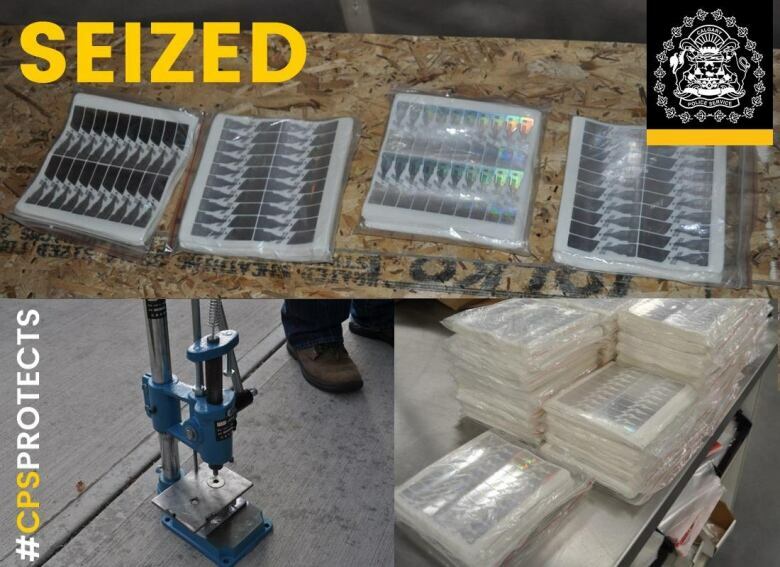 Police seized 1,245 pills and a pill press as well as three stolen guns from the two locations. Officers also found printing equipment capable of counterfeiting millions of dollars worth of Canadian and American cash. Before sentencing the pair, provincial court Judge Peter Barley offered some words of encouragement, telling them to be prepared to resist the temptations of drugs after they get out of prison. “The first day when you walk out, you’ve got a lot of temptations there, hopefully you have the tools,” said Barley. Last year, Rafizada and Saliba pleaded guilty to charges of drug trafficking, possessing counterfeit money and possession of proceeds of crime. Rafizada was also convicted of a firearms charge. On Wednesday, provincial court Judge Peter Barley imposed a four-year, three-month sentence on Rafizada after hearing submissions from prosecutor Gregory Harlow and defence lawyer Jim Lutz. Saliba was sentenced to three years in prison following a joint submission from Harlow and her lawyer, Peter Hoare. Both Saliba and Rafizada told Barley they take responsibility for their crimes and are now on methadone in an effort to combat their drug addictions. “Ever since this all happened, it was a really big eye-opener,” said Rafizada.